Great things really do come in small packages! This light and fantastically designed magnesium-framed bike has a lot of the same features as the more hi-tech top of the range G3 but at a much more attractive price point. This versatile and compact little number can be transported and used just about anywhere. 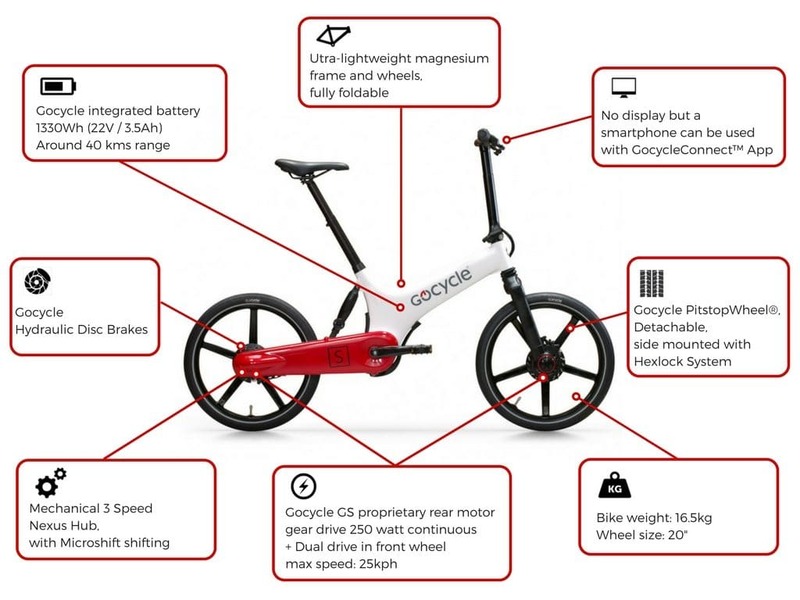 Though this e-bike is simply designed, it has much to offer in terms of features. 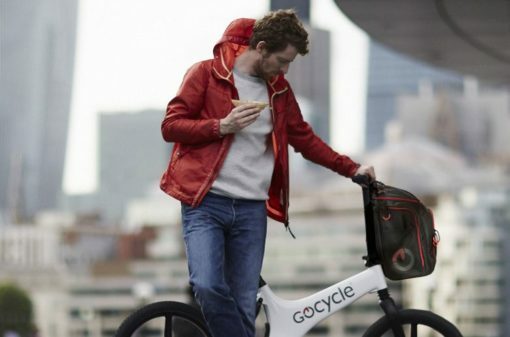 Create your own customised display using your smartphone (iPhone or Android) together with the Gocycle Connect app and built-in straps to monitor your distance travelled and much more. You can even use it to adjust your bike’s top speed and power delivery putting you in total control. The GS boasts an attractive ultra-streamlined appearance. 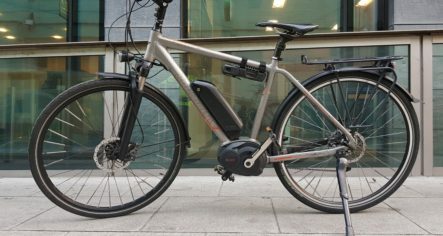 The 500 hub motor to the front blends very well with the overall look of the bike while the clean drive housing the chain means that is totally protected from adverse weather and, importantly, that the rider’s trousers remain clean! The bike comes with pedal assist or throttle option. 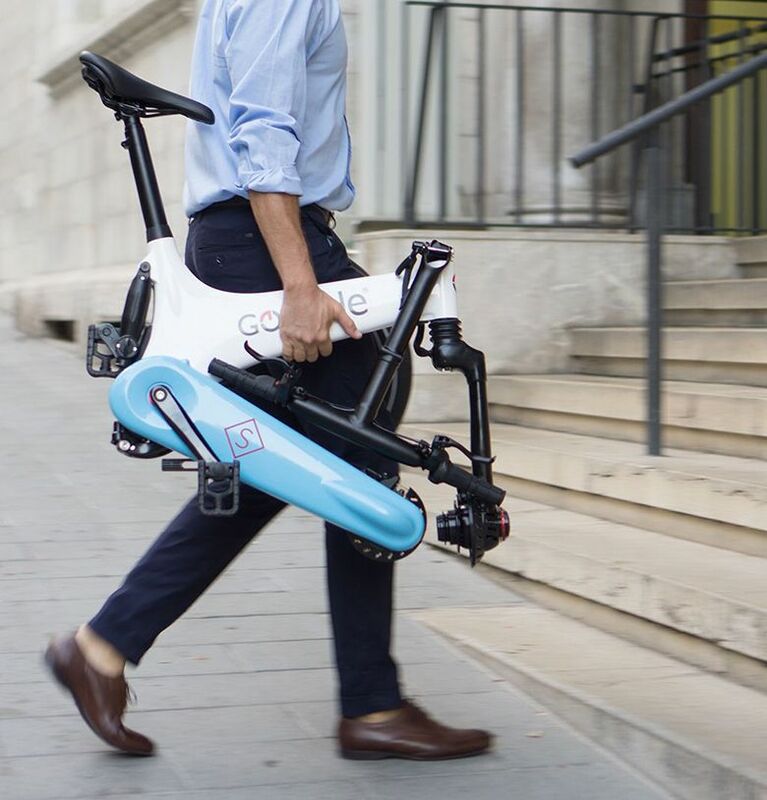 Though it is a small framed e-bike, the GS’s elevated seat and handlebar positions make it comparable to a full-sized bike when it comes to the actual riding experience with its functional low step design making mounting and dismounting very straightforward. Though it is fully foldable, it should be noted that the process will take more than a few seconds, making it more suitable for organised transport in cars or boats rather than jumping on and off buses on a whim. Disassembling the GS involves folding the pedals and removing the pit stop type quick release wheels. Another great feature of the low maintenance aspect of Gocycle bikes is that the 20inch wheels are spoke-free and require no maintenance whatsoever. Housed within its frame is a 22 volt 13.5 Ah battery which takes 7 hours to reach full charge with the accompanying standard charger. There is, however, the option to purchase a fast charger at an extra cost which would reduce the waiting time down to 3.5 hours. 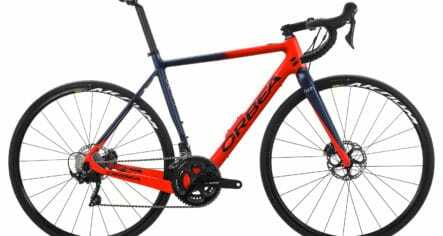 Whether you will need to purchase that really depends on what your demands of the bike are. The 3-speed grip shifter works in tandem with the super reliable Shimano 3 speed nexus hub while front and rear hydraulic disc brakes provide solid stopping power. 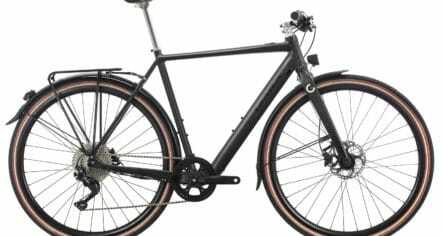 The GS is a zippy little e-bike with some really great features at a very competitive price. Why not come and check it out here at Greenaer!